This mix, outside of our inclusions from Kendrick Lamar's Damn, Vince Staple's Big Fish Theory, and Brockhampton's Saturation II, is a poor representation of what was popular in Hip Hop in 2017, for the simple reason that I 'm not crazy about most of what was popular in Hip Hop in 2017.
to us all in another fifteen years as most 70s prog-rock does today. So the bulk of Hip Hop's 2017 chart-topping zeitgeist artists riding these current trends are not represented on this mix. In their place are Hip Hop acts that just work better for me; older American acts like Run The Jewels, Raekwon, Eminem, and Snoop Dogg with more traditional beat sensibilities; their younger, English Grime counterparts, especially Stormzy and Loyle Carner, who while no means old-fashioned, have not abandoned the bedrock of funk, rock, gospel, and soul in their beat compositions to the level their young contemporaries have here in the states; and another pair of British artists, who while not exactly Hip Hop, are just plain cool and whose music fit great with the other songs on this mix. 1. 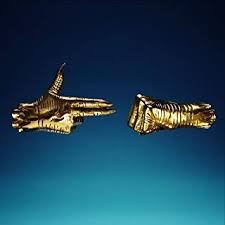 Down - Run The Jewels: Released in that critical review / publicity graveyard known as the last week of a December, Run The Jewel's late 2016 release III received just a fraction of the attention adorned on the Killer Mike / El-P fronted-duo's Run The Jewels II, which was the the third best reviewed album of 2014. That's a shame, because though the emphasis in III is on tighter, more minimalistic compositions than the the widely sprawling II, Run The Jewels III is nearly II's equal from a quality stand point, chock full of those awesome, future-ominous El-P beats and Killer Mike's charismatic turns of phrase. We'll hit two tracks from III on this mix, starting with its eerie, swaggering opener Down. 2. 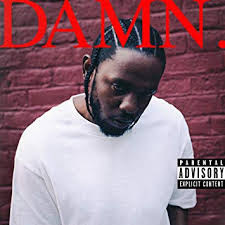 Humble - Kenrick Lamar: Gonna hit a lot of material from Lamar's Damn, the critical consensus #1 album of 2017, on this mix, starting with the first #1 single of Lamar's career, Humble. 3. 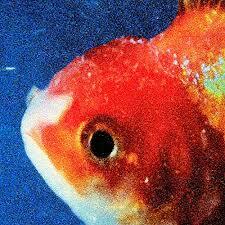 Big Fish - Vince Staples: After Damn, the most critically celebrated Hip Hop album of the year was Vince Staple's sophomore effort Big Fish Theory, which took an already strong set of songs and then amped them up big-time with some inspired experimental beats deeply rooted in House and Detroit Techno. Wish I could have made room on this mix for the album's opener Crabs In A Bucket, which really sets the avant-garde template, but Big Fish and BagBak were such huge Hip Hop songs last year I felt compelled to stick with them. 4. NO CD - Loyle Carner: A newcomer to England's Hip Hop/Grime scene, Carner (the performing name for Benjamin Gerard Coyle-Larner) exhibits a lyrical thoughtfulness that's not far off from Kendrick Lamar or Drake, but musically, he's a champion of those old skool, rock-and-funk-oriented beats, which can be found in abundance on his Mercury Prize-nominated 2017 debut Yesterday's Gone. 5. GUMMY - BROCKHAMPTON: This humorously self-described Hip-Hop "boyband," a sprawling multi-racial, genre-mashing collective that initially formed in San Marcos, TX (with some members recruited through message-board interactions), absolutely exploded in 2017, releasing three albums over the course of the year. Gummy, their lead single from the best of those 2017 releases, SATURATION II, is their most popular song to date. 6. Big For Your Boots - Stormzy: Lost amid all the deserving 2017 attention for stateside critical darlings like Kendrick, Brockhampton, and Vince Staples, and the mainstream focus on those pop-chart-dominating hip-hop artists mentioned above, was the fantastic debut of British Grimer Stormzy with his marvelously broadranging Gang Signs & Prayers. Featuring dark numbers, pop ballads, gospel efforts, jail-cell phone calls, and a healthy share of potent bangers, it was one of the very best Hip Hop efforts released on either side of the Atlantic. 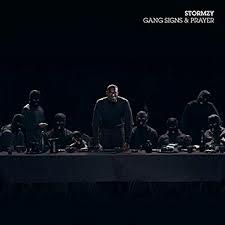 This first of three selections we're featuring from Gang Signs shows off Stormzy at his banging best. 7. DNA - Kendrick Lamar: So there's an interesting production story behind DNA, my favorite uptempo number from DAMN. Supposedly, producer Mike Will had already crafted the first half of the song, Kendrick recorded his rap to it, then veered off into unplanned additional verse before the recording halted. Loving the additional verse, Lamar instructed Wills to compose around it, and make the music under that new verse sound like "chaos." Thus that super-intense final third of the song was born. 8. 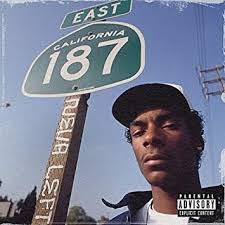 Lavender (Nightfall Remix) - Snoop Dogg: This atmospheric remix of a Badbadnotgood instrumental track from Snoop's fifteen release Neva Left caused quite a stir with the Fox News set in 2017 after the video for the police-brutality-focused song, which featured Snoop shooting a clown-faced President Trump, aired. 9. Good Luck Chale - J Hus: Another promising debut effort from another up-and-coming Grime artist. 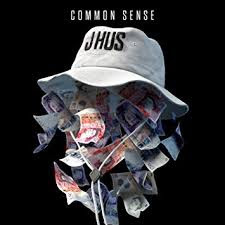 I went with Common Sense's moody Good Luck Chale over its livelier title track or the album's reggae-fied minor hit Did You See just because it fit better with the film-noirish vibe of much of this mix. 10. 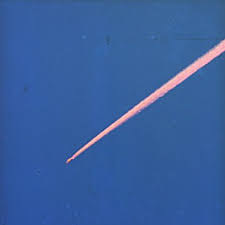 Dum Surfer - King Krule: Speaking of film-noirish, let's talk about King Krule's sophomore effort, The Ooz. One of the best reviewed and impossible to categorize albums of 2017, I actually have a tough time with most of The Ooz, finding its dark, undulating mix of rock, jazz, and, for lack of a better term, "underbelly" textures difficult to get a handle on. But there's no denying it was one of 2017's most unique and artistically ambitious albums, or that Krule (aka Archie Marshall) has an at times mesmerizing voice. It's not rap in the slightest, but tonally, it felt very much of piece with the other tracks here, and Dum Surfer is without question the album's best song, the one track that obliterates any of my reservations with the album otherwise. 11. 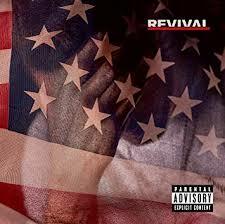 River - Eminem: Eminem's Revival was actually one of the worst-reviewed albums of 2017, but bottomline, I do like this collaboration with Ed Sheeran, and more importantly, my son, who's an Eminem freak, would have never let it go if I left Em unrepresented on this mix. 12. PRIDE - Kendrick Lamar: As I said in my write-up for FEEL on our Best Of 2017 Vol 1 - Best Of The Best mix, I responded most to DAMN's many dark, acid-jazz-flavored cuts, and PRIDE, with its weird Gonjasufi-styled backing vocals, is one of my favorites in that vein. 13. Cigarettes & Cush - Stormzy: Now we get a flavor of Gang Signs & Prayers pop side with this Lily Allen collaboration. 14. 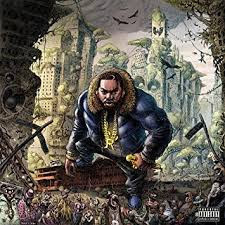 Marvin - Raekwon: Though it received mostly positive reviews, the former Wu Tang Clanner's seventh release The Wild didn't gather a lot of public attention (only peak at 88 in the national charts) in an overstuffed hip-hop year, but I can't get enough of the Cee Lo Green backing vocals on this track. 15. Biscuit Town - King Krule: Here's my other favorite track from The Ooz, it's effective mood-setting opener Biscuit Town. 16. 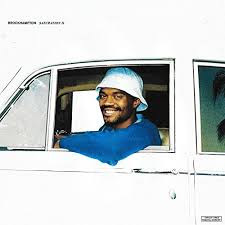 FIGHT - BROCKHAMPTON: And here's one more from the BROCKHAMPTON'S SATURATION II. 17. Freakshow - Ghostpoet: Even though, like King Krule, he's not really Hip Hop or Grime, I just love this creepy spoken-word number from London's two-time Mercury Prize-nominee Ghostpoet (aka Obaro Ejimiwe). 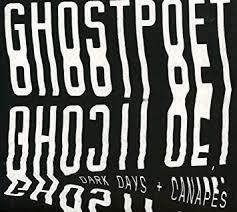 Taken from his pitch-black but excellent fourth full-length Dark Days and Canapes, the rest of the album is well worth checking out if this song hits you as viscerally as it did me. 18. Talk To Me - Run The Jewels: Our second selection from Run The Jewels III, Talk To Me is emblematic of the album's overall taught, punchy nature. 19. BagBak - Vince Staples: One more from Vince Staple's electronics-dominated Big Fish Theory. 20. 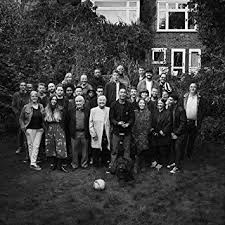 Stars & Shards - Loyle Carner: And here's one more chill, guitar-anchored number from Carner's excellent Yesterday's Gone. 21. LOVE - Kendrick Lamar: My daughter's favorite cut from DAMN closes out the Kendrick portion of this mix. 22. Blinded By Your Grace, Pt. 2 - Stormzy: And finally, one last number from Gang Signs & Prayers, one of my favorite Grime/Hip Hop songs of the year, the lovely, Gospel-fueled Blinded By Your Grace, Pt. 2.